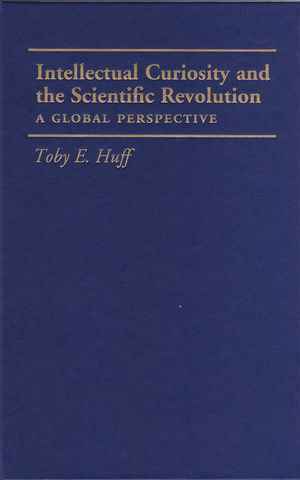 “A century ago”, so Toby E. Huff observes in the introduction of his monograph, “when it was not thought to be insensitive to ask big questions about how the world had gotten to be the way it is, the German sociologist Max Weber laid out his thoughts about these profound questions. […] [H]e concluded that there were a number of striking intellectual features that arose only in the West and yet had a universal significance, a global impact as we would say today” (p. 11). The statement tells in a nutshell what Huff’s book is all about: It is overly optimistic about the importance of Western civilization and openly places itself in a direct tradition of nineteenth century thinking. In writing a history of natural science, Huff thus disregards more than a century – that is, the twentieth and early twenty-first centuries – of scholarship in the humanities and social sciences. As a result, Huff presents an interpretation of globalization that is stunningly outdated in its overall message. At the core of the problem stand Huff’s preface and introduction to “Intellectual Curiosity”, which are mostly polemics. They seem to prepare the reader for a monograph that does not engage in a debate because it neglects to present and to discuss alternative views in an analytical, scholarly-scientific manner. Maybe the reason for that is the fact that Huff is an astronomer and therefore has excellent knowledge of related inventions in the Western World in the course of the past centuries. He is, however, lacking a thoroughly systematic background both in the methods and in the most important lines of thinking in the humanities and social sciences after Max Weber. Huff is more at home in the chapters that make up the substance of his book, where he tries less to interpret in absolute, universal terms but to present his view of a Western-European scientific past as a series of path-breaking inventions centring on the telescope. It is always misleading to study an isolated aspect of the past and present without a broader understanding of the contemporary times and contexts. In “Intellectual Curiosity”, Huff uncritically takes up hierarchical thinking from the turn-of-the-twentieth-century but applies present-day terminology such as the idea of a “globalized” world to it. While, however, claiming to be presenting a global perspective, Huff actually devotes very little space to comparing different world regions as he proposes to be doing: “I lay out the comparative tracks of scientific development and educational practice in Europe and in the three other great civilizations of the world: China, Mughal India, and the Ottoman Empire” (p. 4, my emphasis). Instead, he bluntly argues that Western civilization is superior to other civilizations, for example: “[T]he European contribution far exceeded that of all the other peoples and civilizations of the globe” (p. 8) – yet no other civilization is analysed in depth as an actual basis for a comparison. Part II of the book is spent on this proposed comparison. It is made up of one chapter spanning no more than 22 pages (pp. 145-167). The book is thus oddly out of balance with its altogether three parts – part I and III discussing in five to six chapters, respectively, the history mainly of natural sciences in “the West”. Presenting a single-minded idea of the ways of the world, Huff dangerously downplays the long-standing tradition of Western imperialism and its more or less open racism by focusing exclusively on the positive outcomes of Western science, leaving out the suffering and devastation that many inventions throughout the past centuries have caused as well. While he delights in the invention of the telescope as a key incident to Western (and thus, in Huff’s view, the world’s) progress, he blends out that while indeed, much good came of the intellectual curiosity of people such as Galileo Galilei (whose name, thanks to his invention of the telescope, guides the reader like a red thread through the book), it also meant death and devastation for others. Telescopes and other, earlier devices had made the great tours of discovery possible and safer. As a result, ever since Christopher Columbus’ historic voyage in 1492, Europeans had gathered information about all possible (not just natural) sciences in other parts of the world. But these voyages of discovery thanks to great European inventions also brought about devastation, such as when European plagues were introduced to foreign continents, killing natives there by the thousands. More recently, atomic power has turned into a danger capable of destroying the human race even in its “peaceful” forms of application. It is hardly possible to continue with the cheerfully optimistic progressivism of the turn of the twentieth century today without also discussing the horrific downsides of Western science. Ironically, some of these downsides are rooted in the fact that scientific thinking was considered to be the ultimate achievement within the realm of intellectual culture. But the absence of moral thinking or openness to alternative viewpoints beyond one’s own accustomed universe will increasingly have to be remarried to the natural sciences. Part of that would be to acknowledge that in studying the past, more is needed than an astronomer’s personal optimism about his specific discipline’s impact on the rest of the world and its civilizations. Studying the past of the natural sciences also necessitates that one arrives at a more profound understanding of the societies at the time when those past discoveries were made. Huff does refer to “the three other great civilizations of the world” (p. 4). But this cannot be called a systematic approach to comparing great civilizations: Are China, Mughal India, and the Ottoman Empire all the world ever saw in terms of highly developed cultures? And if these three are singled out, why they and not for example ancient Egypt? Or the native American civilizations like the Inca and Maya? Huff presents his three great civilizations as indubitable facts for which no further explanations appear to be needed. But what are his parameters for defining a civilization? Apparently, a great civilization equals the Western world, though even when looking at Huff’s “western civilization”, the focus tends to shift ever so often. In the beginning of his preface, it refers to New England exclusively, thus hinting at the old myth that the South of the United States is intellectual inferior; Huff mentions colony building in today’s Maine by “a hardy brand of English settlers” (ix). After that, Huff remains undecided between Europe and North America as his focal point, depending on what time period he has in mind. Apparently, Huff considers North America a product of Europe that by the time of the twentieth century had outgrown its master. Moreover, according to Huff, America (or rather New England?!) experienced only insignificant and thus negligible input from other world regions such as Africa, Asia, or South America. It seems entirely acceptable for those of other disciplines to claim a say in the humanities without ever reading up thoroughly on recent scholarship in those fields. Maybe that is because at some point in the course of the twentieth century, we lost sight of the fact that “science and technology” cannot be without the humanities and social sciences. Indeed, “scire”, the Latin verb that is the root of English “science”, means simply “to know.” In ancient Greece – one civilization that does not figure officially in Huff’s book as a separate great civilization, although he does mention it in passing as more significant than any of the three “inferior” ones such as “China, Mughal India, and the Ottoman Empire” (p. 8) – arts and sciences were irrevocably intertwined. The astronomer Huff presents us with an unreflecting view of the exclusive “blessings” of a somewhat hazy notion of “Western” science and technology that does not do justice to the idea of a “globalized perspective” on the history of science. See for example Anja Becker, Southern Academic Ambitions Meet German Scholarship: The Leipzig Networks of Vanderbilt University’s James H. Kirkland in the Late Nineteenth Century, in: The Journal of Southern History 74/4 (2008), pp. 855-86; John R. Thelin, A History of American Higher Education, Baltimore 2004; Dan R. Frost, Thinking Confederates: Academia and the Idea of Progress in the New South, Knoxville 2000. Just one example of reinterpreting colonial black intellectualism and the influence of the African diaspora on European culture in the past would be James H. Sweet, Mistaken Identities? Olaudah Equiano, Domingo Álvares, and the Methodological Challenges of Studying the African Diaspora, in: The American Historical Review 114/2 (2009), pp. 279-306. See also Laurent DuBois / Julius C. Scott (eds. ), Origins of the Black Atlantic, New York 2010. Anja Werner: Rezension zu: Huff, Toby E.: Intellectual Curiosity and the Scientific Revolution. A Global Perspective. Cambridge 2010 , in: H-Soz-Kult, 12.07.2011, <www.hsozkult.de/publicationreview/id/rezbuecher-15735>.